When I first bought I’m Wide Awake It’s Morning, I didn’t mind the spoken intro so much, but now that I’m older and wiser, it sounds horribly immature and ridiculous. I wonder how Conor Oberst feels about it? Whenever I hear this song it brings me back to moments of being young and lost and drinking too much; I’m sure plenty of people can relate. Land Locked Blues is another song that reminds me of a time in my development, and also simultaneously the mood of the country, deep in George W Bush’s second term. 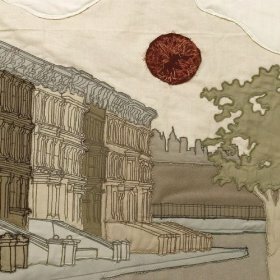 Conor Oberst is whiny, petulant, and insufferable sometimes, but this album is an astute time capsule of a time in history and a period of life. I like it more than any of his other albums. It was timed perfectly.